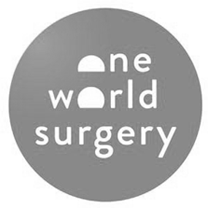 One World Surgery – Giving Tree Associates, Inc.
After visiting a surgical care center in Honduras, CEO Andrew Hayek of Surgical Care Associates (SCA) was inspired to make a positive impact on global health. Through the support of its employees and physician partners, the company soon founded SCA Medical Missions, the predecessor to One World Surgery. The organization’s goal was to provide much-needed health services to the people of Honduras, but an overwhelming need for surgical care in the area meant long waiting lists at the surgery center. SCA Medical Missions needed expert guidance to build a solid organizational structure, develop a corporate social responsibility program and navigate the complexities of working with two other nonprofit agencies on the ground in Honduras. 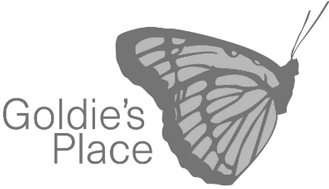 The vision for the new organization quickly became a reality. SCA Medical Missions conducted a successful year-end giving campaign, doubling its budgeted annual revenue in just four months. After increasing the number of surgeries provided from 222 to nearly 390 during its first year, the organization began hosting events throughout the U.S. to showcase its work and recruit new surgeons and other medical volunteers. In May 2017, SCA Medical Missions formally combined forces with Holy Family Surgery Center to create One World Surgery, a single independent nonprofit organization. In August 2017, One World Surgery partnered again with Giving Tree Associates in order to hire the organization’s first director of development who would be charged with growing the revenue to support their international expansion efforts. Giving Tree completed the search by placing a highly skilled and entrepreneurial candidate into the position in December 2017. Giving Tree Associates immediately sent a staff member to Honduras to witness a surgical mission first-hand, meet the founding families and tour the facilities. After a comprehensive assessment of the relationship between SCA Medical Missions and its partner, Holy Family Surgery Center, it was clear that the organizations should become a single 501(c)(3) nonprofit organization. This structure would allow them to build a long-term sustainable funding plan and leadership model, serve significantly more patients in Honduras and position the organization to expand into other Central American countries.